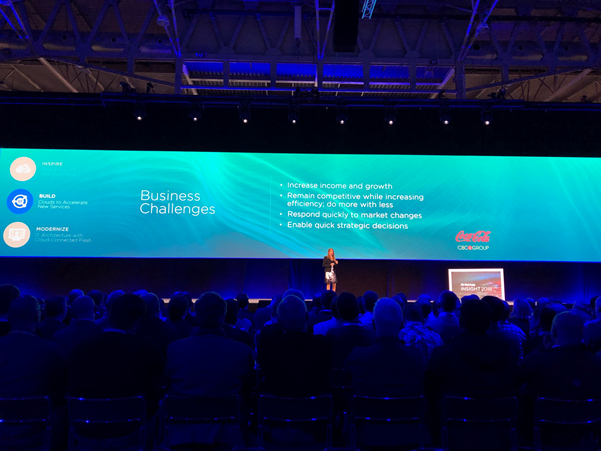 Closing out my own events season with the final event being NetApp Insight in Barcelona, this blog is something I put together live during the general session. This is a pretty special year for me and NetApp as this marks my 5 years anniversary of being a member of the NetApp A Team. I was lucky enough during the keynote and general session yesterday to have the chance to have my colleague Adam Bergh and fellow 5-year members be interviewed as people were taking their seats during the session. The final general session is normally packed full of technical detail and announcements I am going to try and capture some of these during this post. 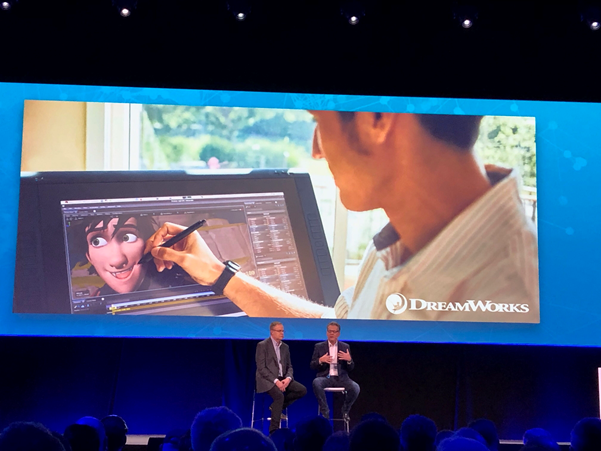 We had the CTO of DreamWorks following on from the session yesterday but this time we got more into the detail about the size and scale of data and how ultimately the film we see on screen is a nice way of displaying all their data. To be honest if I was going to be the NetApp fanboy and choose my favourite area over the last year it would be this business unit, it’s a different model completely to the traditional world of NetApp technologies. It could be seen as they are really acting like a start up in this business unit. Some really cool things are coming or out now and available. The first one being Azure NetApp Files. As an Azure user or administrator and you need some scalable storage you can use this natively through the Azure portal and consume this storage layer powered by NetApp. We then got to hear a customer talking about how far they are already currently using this technology. 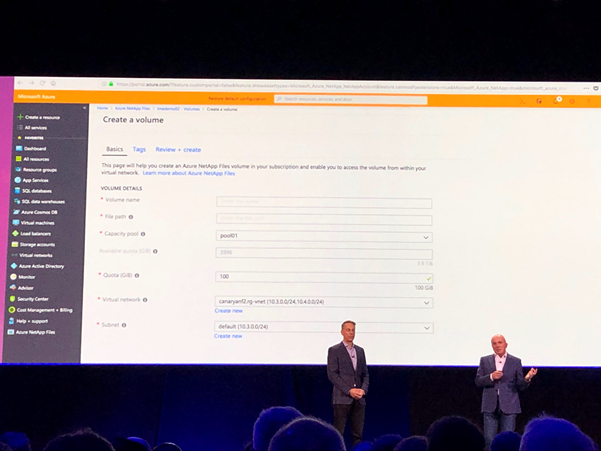 NetApp Kubernetes Services is another recent announcement from NetApp and Anthony Lye touched on this whilst on stage, Kubernetes and this is something I have not spent much time on but it’s the de facto orchestration platform for running cloud native workloads. 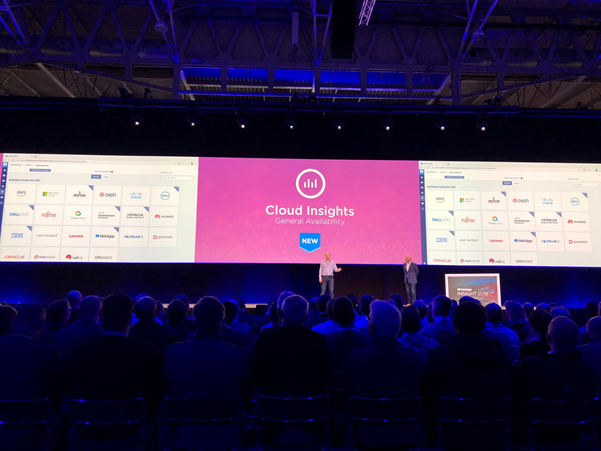 Cloud Insights was up next and for me this is the exciting new technology that is now generally available from NetApp. The ability to provide insight into your environment from top to bottom and it doesn’t just need to be NetApp technologies. I got to hear about this a few months ago and as a technologist I really liked how this looks and how this is being developed. A SaaS based offering and it is really quite powerful. Exciting to see what and where this goes next. 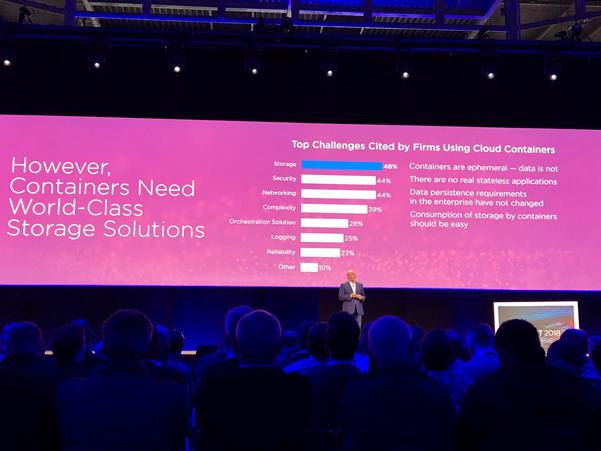 The real power here is how NetApp can get this in front of other die hard “other” vendor shops to provide those insights. 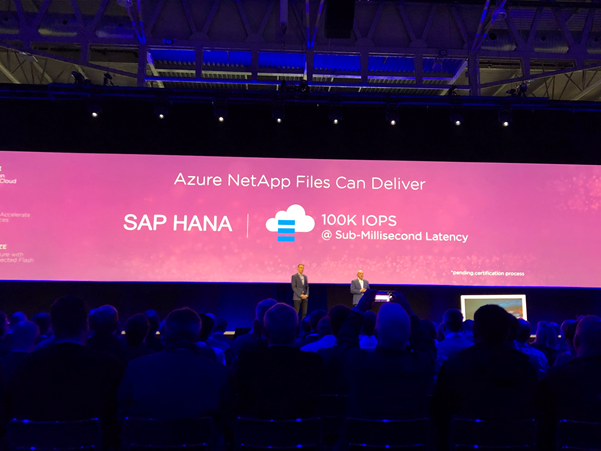 NetApp HCI was the focus of this segment with Brad Anderson that heads up this business unit. Commodity hardware, software defined, Scale out, Simplicity. But NetApp stating that their HCI stands for Hybrid Cloud Infrastructure. Empowering the hybrid cloud experience. The Veeam integration is coming in early 2019 here to take advantage of those storage snapshots but also the ability to leverage the native cloning technology to provide development isolated sandbox environments read more on that here. Another focus here seemed to be around telco and service providers running NetApp HCI, this is interesting. Who else is doing this? The customer reference here spoke about their customer challenges or business challenges I think these are common business challenges that we see daily. There is still a full-on day here in Barcelona, I am going to speak some more to the Cloud Data Services guys and get some more demos.